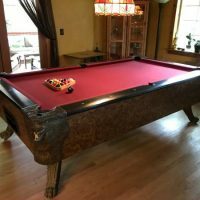 Beautiful pool table - hardly ever used. Light gray felt (no rips or tears). Pick up only. Very nice vintage pool table, comes with original ivory inlays and balls, original que holder included, extras. No delivery. 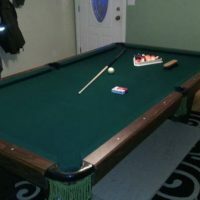 3/4 inch slate, leather drop pocket pool table with all accessories. Pick up only.